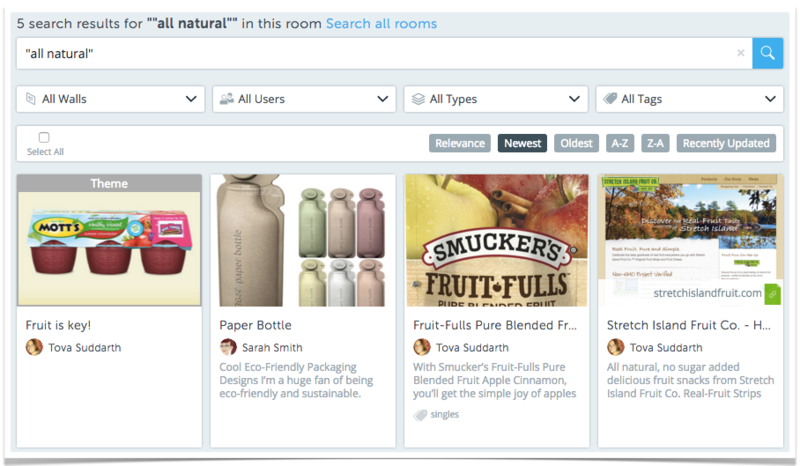 Want to view all the room assets before starting your search? 1) Click magnifying glass in the search box and this will open search tool with no criteria to start. 2) Click "View All Assets" at the bottom of the room panel. 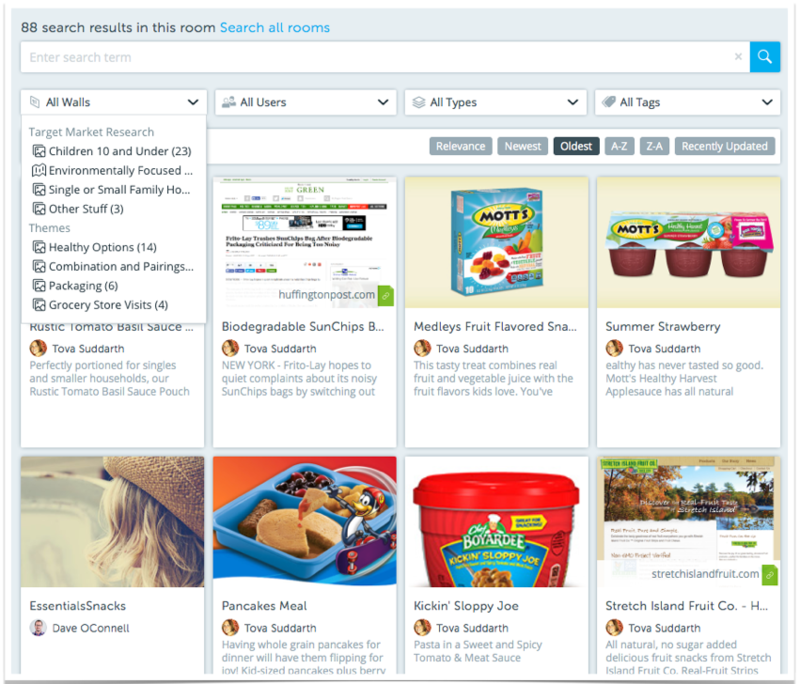 Search Content with Filters for "OR" results or Tag search for “AND” results. 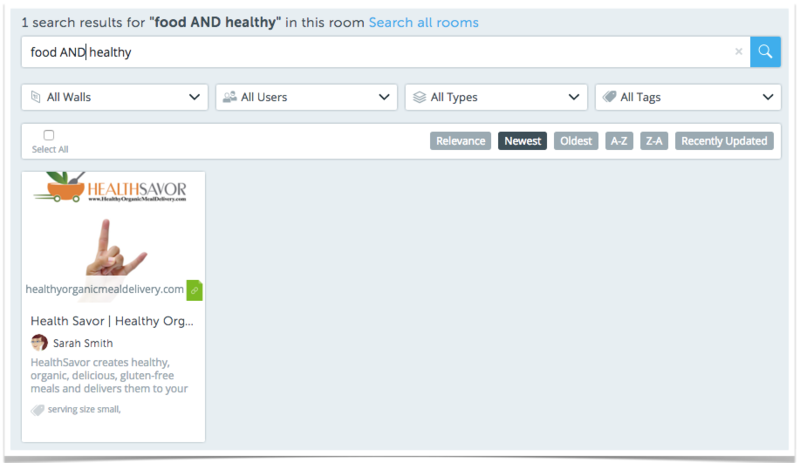 While viewing your Room assets you can use "Walls", "Users" and "All Type" to select one or multiple filters and you will receive "OR" results. Asset results will be based on if they show on "Wall A" or "Wall B". 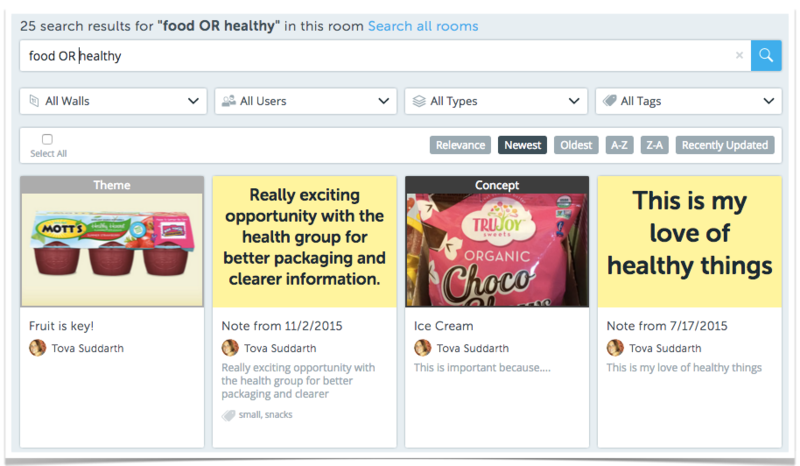 When selecting Tags, tags on assets are very specific and will show as “AND” results. 1) "Quotes" search for EXACT words or phrases. Using quotation marks allow you to start your search for the exact word or words. 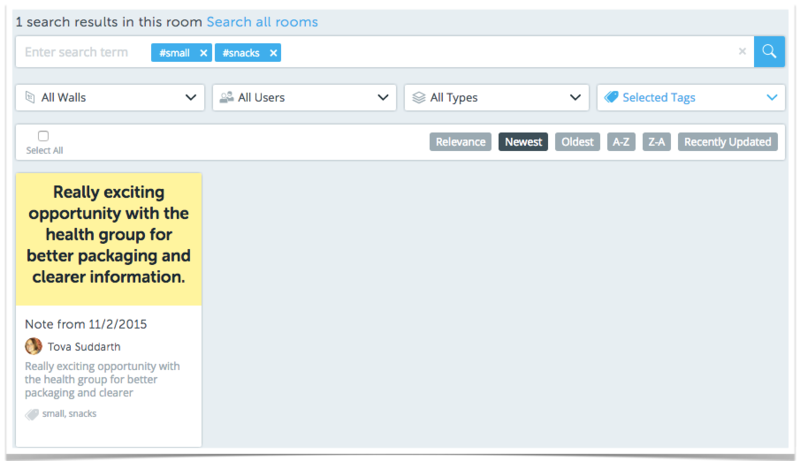 Quotations will also allow you to search for "exact phrases" with out quotes multiple words within the keyword search box will search for each of those words independently. Make your search very specific by stating healthy AND food for results that must obtain BOTH words. Broaden your search results by stating healthy OR food for results with EITHER word. Key word searches will search singular and plural (e.g. Fruits will supply results for both Fruit or Fruits.) 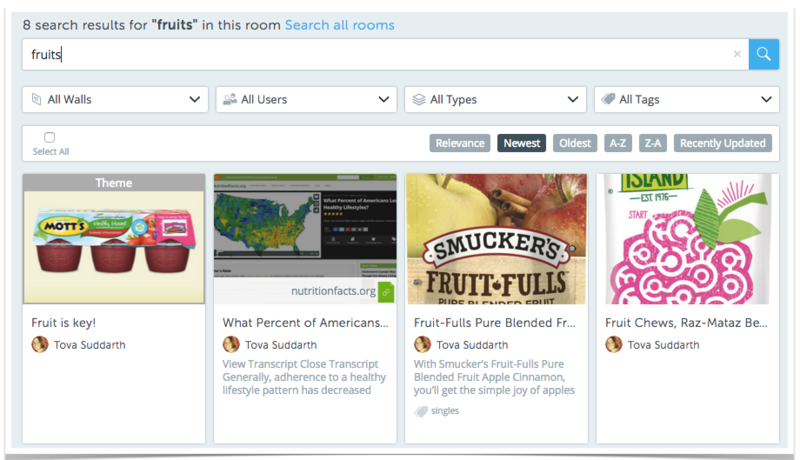 If you only want results for "fruits" you must use "quotes".